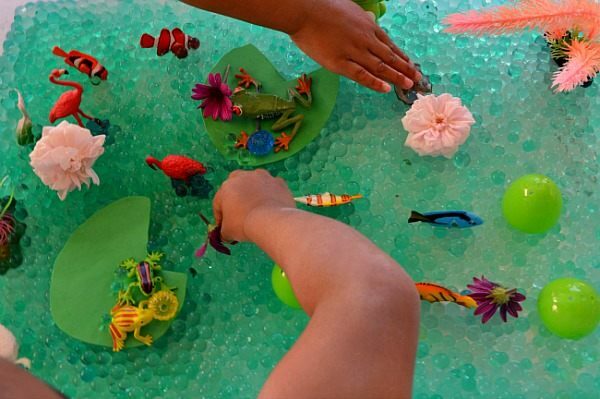 Sensory activities which also function as small world play are great kids activities and fantastic boredom busters. 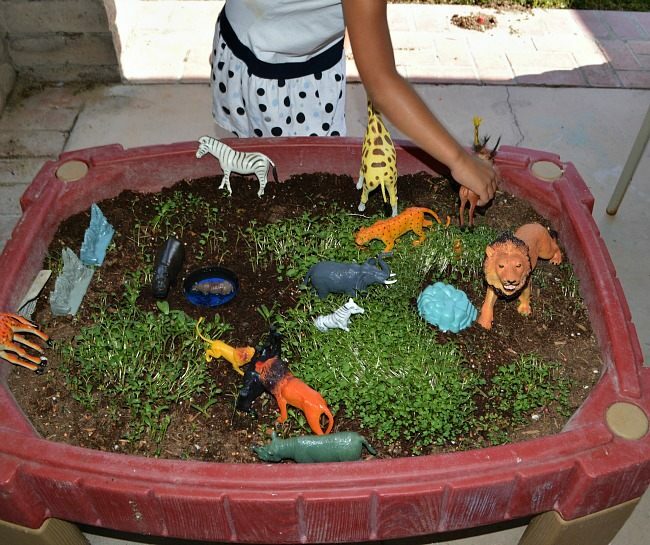 We have created a Savannah scene, a box rainforest, , paper plate ocean, a desert and more to come. I love it even more because they work perfectly when I need an activity which will work for 2 different age groups. 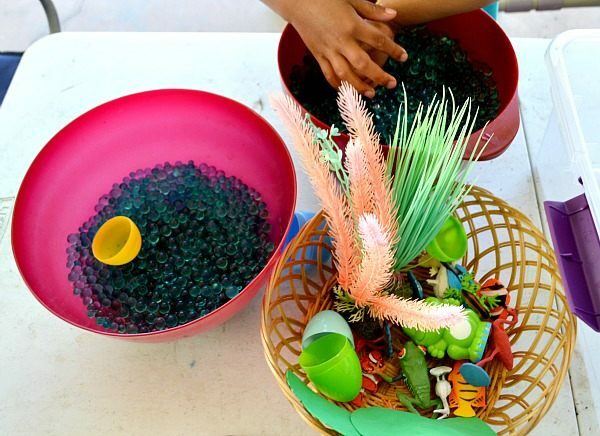 Toddlers love sensory activities and preschoolers whose imagination are taking off in full speed will adore creating their play scenes. Please engage in the following kids activity ONLY if the children no longer put foreign objects in their mouths AND an adult is around to supervise. Water beads cannot be consumed! 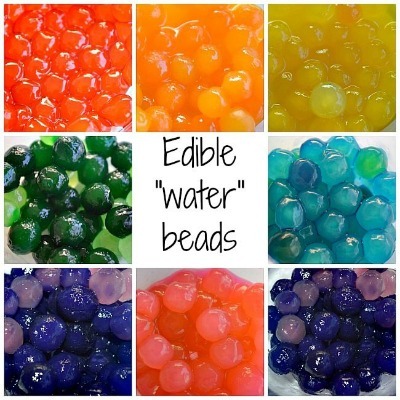 Here is another alternative – our edible “water” beads. Clickable Affiliate image link to Water Beads. 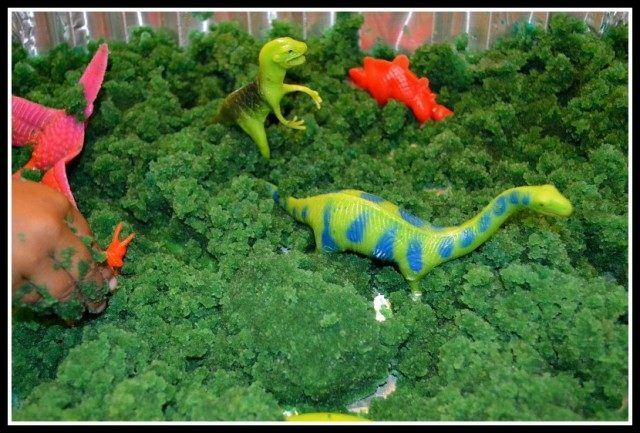 They are wonderful sensory play materials for kids who no longer mouth! Coming back to the self-serve station. 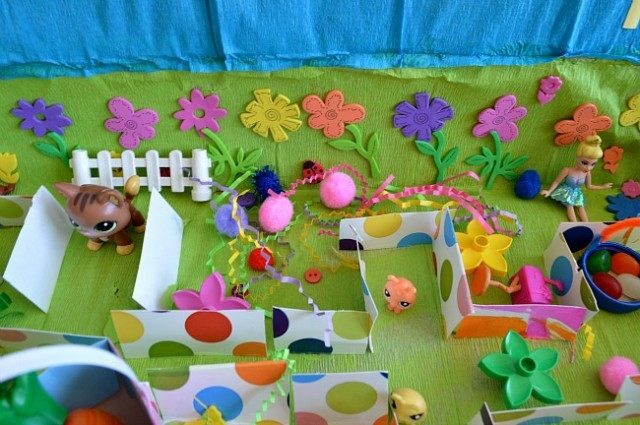 Here is our very simple sensory bin/small world creation station. My 4-year-old was even involved in the animals selection process. We just printed out animals and water birds that live in and around ponds and picked out our animals from our stash. I love when the child participates in the kids activity set up process since I believe that is just as important. Of course this works only if the child co-operates and is very much interested in the activity. On the other hand if you are trying to get the child interested in a different activity where the interest has been lukewarm creating an attractive “invitation to play” is the best way to go. Since we are talking animals, I know I got her attention from the get-go. 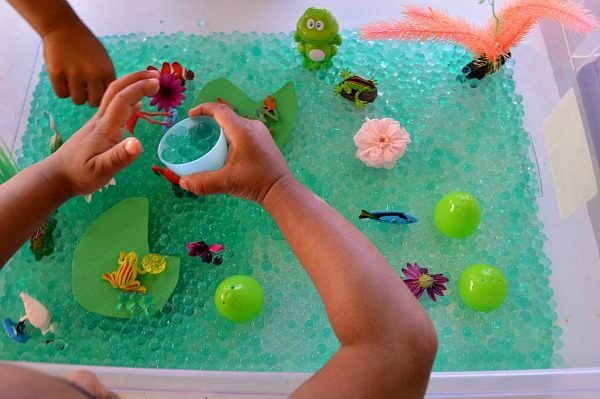 The first step in this sensory activity was the best. 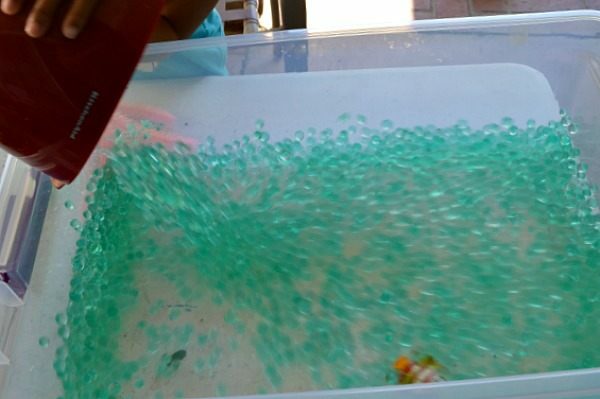 Dump the water beads in the sensory tub. Then they created their pond life small world. The plastic plants from our old fish tank went in, along with foam lily pads and then in went all our pond life. I ha also set out a few plastic eggs to function as scoops. Those were great for exploring the “pond”, especially for my toddler. She used them to create rain. She would scoop up some water beads and pour them on the animals and say ” It’s raining, it’s raining..” You see small world play and sensory activities go hand in hand. The kids loved the water beads pond. While it was a sensory activity for my toddler, it was all about creating story lines and small world play for my preschooler. Our sensory activities always turn into small world play and vice versa. If interested you can clearly turn this small world play into a learning opportunity. Possible topics : life cycle of a frog, animal facts, pond as a wildlife habitat, animal diet. We didn’t do any because the kids were too giddy with their multiple story lines about bird-eating frogs! Note: I’m aware of the many technical discrepancies in the pond life ( saltwater fish for example)..But we are driving home the general idea. We have shared many small world play ideas. Click on the images to go to the full posts.